The study, published in JAMA Pediatrics, looked at data from almost 145,500 children in Québec, Canada who were followed for up to 10 years from the point of conception. 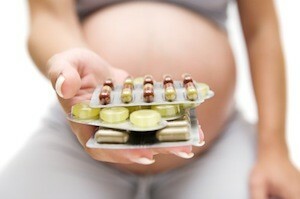 Alongside recording autism spectrum disorder (ASD) diagnoses, (an umbrella term for related neurodevelopmental disorders such as autism and Asperger’s), the research team gathered information on maternal depression status and use of antidepressants during the second or third trimester; periods critical for foetal brain development. The team additionally considered potential influencing factors such as family history of psychiatric conditions, maternal age at conception, and socioeconomic factors such as poverty, all of which are risk factors for ASD. After taking these into account, the team found the use of antidepressants during the second and/or third trimester was associated with an 87% increased risk of ASD! “When we looked at specific classes of drugs used, it was really SSRIs that were more than doubling the risk of ASD,” explained lead researcher Anick Bérard. SSRI’s (selective serotonin re-uptake inhibitors) are a class of antidepressant drugs prescribed in orthodox medicine. These drugs work on the theory that depression stems from an imbalance of certain chemicals in the brain, particularly the “happy hormone” serotonin. SSRI’s therefore aim to restore serotonin levels back to normal by preventing reuptake in the nervous system. Serotonin is vital for brain development. It is involved in cell division, migration of neurons and the creation of connections between cells across which information flows. As some antidepressants such as SSRI’s work by altering serotonin levels, the research team contend that they could affect brain development of the foetus. There is an emerging theory that contends abnormal serotonin levels are a symptom, not a cause, of depression. This reasoning could explain why robust evidence supporting the use of SSRI’s is lacking. Yet in spite of this, SSRI prescription and use has been soaring, rising 400 percent from 1988 to 2008 in the U.S. Concomitantly, there has also been a sharp increase in the prevalence of ASD. The Australian experience indicates that between 2000 and 2011, antidepressant use in Australia increased by a staggering 95.3 per cent, according to one study. In 2012 SDAC there was an estimated 115,400 Australians (0.5%) with autism. This was an 79% increase on the 64,400 people estimated to have the condition in 2009. In 2003 there were 34,200 Australians who were diagnosed as being on the spectrum. In Australia, post natal depression (PND) affects almost 16% of women giving birth every year, making it one of the most common complications of pregnancy. “Maternal depression, treated or not treated, is a risk factor for autism,” Bérard notes. “But antidepressant use is an independent risk factor. SSRI’s prescribed in Australia include Fluoxetine (Prozac, Lovan) is probably the most well-known. Others are Fluvoxamine (Luvox), Citalopram (Cipramil), Paroxetine (Paxil and Aropax ), and Sertraline (Zoloft). Common side effects of these drugs include: nausea, agitation, insomnia (sleep problems), drowsiness, tremor (shaking), dry mouth, diarrhoea, dizziness, headache, sweating, weakness, anxiety, weight gain or loss, sexual dysfunction, runny nose, myalgia (muscle pain), rash. A distinguished meta-analysis done in 2008 found relatively small differences between antidepressants and placebo, even in severely depressed patients. The study suggested that the only reason antidepressants seemed to do better in more severely depressed individuals was because they were less responsive to the placebo effect – not that they were responding better to the antidepressants. This research from Québec is very telling. It indicates that taking SSRI antidepressants in pregnancy is a considerable risk factor (not a sole cause) for the child to develop ASD. As serotonin is vital for brain development and SSRI’s work by altering serotonin levels, the research team contend that they could affect brain development of the foetus. We are not saying that maternal depression shouldn’t be treated but we are suggesting that prescription SSRI’s may not be an appropriate treatment. Here at Emed we are able to offer alternative suggestions to managing the symptoms of depression both throughout pregnancy and post birth. Call us today to arrange a complimentary initial consultation to find out how we can help you or a loved one. Most of the mothers taking antidepressants would have a compromised microbiome and that is the biggest factor in autism generally. They pass their microbiome on to their children, and when in the womb, the baby is exposed to a lot more toxins and immune activity.